According to a new report prepared by the 89up digital agency, the Kremlin’s mouthpieces, RT and Sputnik, produced anti-EU content on Twitter that had greater reach than the Vote Leave or Leave.EU campaigns. The office of special counsel Robert Mueller announced last Friday that 13 Russian operatives and three Russian entities, including the Internet Research Agency (otherwise known as the St Petersburg ‘troll factory’), have been criminally charged for interfering in the US presidential election in favor of Donald Trump. Russian authorities have been dismissing reports about hundreds of Russian mercenaries presumably killed by US airstrikes in Syria. A policy brief recently published by a project headed by Freedom House describes the problem of insufficient media literacy and the success of disinformation campaigns in Moldova. Joke: A judge walks out of his chambers laughing his head off. A colleague approaches him and asks why he is laughing. “Well, go ahead, tell me!” says the other judge. Digital agency 89up has presented a report of its research into the influence of Kremlin media and automated bots during the Brexit referendum. According to the report, the Kremlin’s mouthpieces, RT and Sputnik, produced anti-EU content on Twitter that had greater reach than the Vote Leave or Leave.EU campaigns. The influence of Russian bots was extensive as well. Their reach, according to 89up, was equivalent to 29% of the total reach of both the above-mentioned pro-Brexit campaigns on Twitter. Pro-Kremlin British Twitter accounts are active even now, after Brexit has been decided. According J. J. Patrick and his article on ByLine, the Twitter campaign #Moggmentum, supporting British MP Jacob Ree-Mogg, has been widely pushed by accounts linked to disinformation operations. Euromaidan Press reminds its readers that not all Russian media have always been tools of the Kremlin’s propaganda machine, highlighting that RIA Novosti used to be internationally respected for unbiased and quality reporting. If you are interested in more details about Russian state media and how they came under the Kremlin’s control, read one of our older Kremlin Watch Reports, written by Ilyas Sharibzhanov. In recent days, there have been mentions in several mainstream media outlets that, at the beginning of February, up to 200 Russian mercenaries were killed by US airstrikes in Syria. Russian authorities have dismissed these reports as “classic disinformation” according to an anonymous source from the Russian Foreign Ministry quoted by Interfax. However, the indictment does not address either the question of collusion by any member(s) of the Trump campaign or whether the Russians’ efforts succeeding in influencing the outcome of the election. Predictably, the White House and Trump himself twisted this position to proclaim – falsely – that the indictment proved that no collusion had occurred and that Russian meddling had no impact whatsoever on the election outcome. And what of the Kremlin’s reaction? Maria Zakharova, spokeswoman for the Russian MFA, called the allegations “absurd” and wrote on Facebook: “Thirteen people carried out interference in the US elections? Thirteen people against special services with a budgets [sic] of billions?” Classic deflection and obfuscation – we wouldn’t expect any less from the Kremlin’s faithful cronies! Again, what did the Kremlin say? In another favored tactic – playing the victim – Kremlin spokesman Dmitry Peskov called the accusations “a continuation of the Russophobic campaign”. In their efforts to destabilize American democracy, the Kremlin’s trolls and bots have seized on yet another opportunity to exacerbate partisan divisions. As the news unfolded of yet another school shooting – this time in Florida, with 17 dead – hundreds of Twitter accounts thought to be under Russian control jumped on the bandwagon, tweeting hyperpartisan messages about gun control. The findings, which derive from the Hamilton 68 dashboard, a site that tracks Russian influence efforts on Twitter, reveal that the accounts in question had previously been tweeting about Ukraine and Syria, where Russia is seeking to gain influence. While these accounts suddenly switched their focus to gun reform, using hashtags such as #guncontrol, #guncontrolnow, and #gunreformnow, plenty of other Kremlin-linked accounts tracked by the dashboard espouse extreme pro-gun rhetoric. Russia has mastered the technique of truth denial, especially when it comes to covering up its military operations. Putin’s famous statement, “Ich tam net (they aren’t there)”, about the involvement of Russian military forces in the Crimea takeover is a popular neologism that accurately summarizes most of Russia’s hybrid operations abroad. A similar card is now being played by Maria Zakharova, who couldn’t help commenting on the recent killing of Russian mercenaries in Syria. Zakharova claimed that the interest of the foreign press in this matter is a result of an American information attack on Russia: “Notably, this information attack is coming from the United States, which has been accusing Russia for months on end of interfering in its internal affairs, in particular, the presidential election campaign, including in rather amusing ways, such as in social media”. According to Zakharova, neither she nor the Russian MFA know the details of the clash in which only five “presumably Russian citizens” died. She also has a piece of advice to America: “Mind your own business instead of spreading disinformation about Russia”. Russian Vzglyad couldn’t miss the opportunity chance to comment on statements published by the USA, Canada, and the UK claiming that Russia is responsible for the malicious ‘NotPetya’ cyberattack. Vzglyad invited Russian cyber expert Igor Ashmanov to discuss this issue, who explained the “additive propaganda method” allegedly deployed by the Anglo-Saxon states, which involves adding new elements to a previously disseminated lie. In other words, Russia has never attacked anyone and anyone who claims otherwise is engaged in the information war against Russia. Russian experts also have no further idea why these statements were made. “Ukrainian president Petro Poroshenko has somehow convinced Rex Tillerson to bring up this issue again. 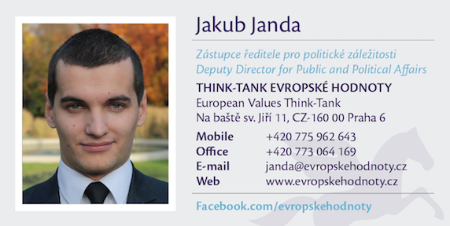 They need anything to keep the myth that Russia has invaded Ukraine”. Poor innocent Russia! This week, we recommend Freedom House’s Media Forward policy brief series, which focuses on critical issues affecting Moldova’s media sector. Given its Soviet past, Moldova has experienced a lot of hostile activity by Russia, which does not like the idea of Moldova’s pro-European orientation. Unfortunately, these activities have been quite successful, mainly due to a range of internal factors, especially regarding the Moldavian media. The first of the two papers published so far deals with the overall problem of insufficient media literacy and the challenge of fake news in Moldova, and tries to answer the question why Russian propaganda and disinformation campaigns are so successful in the country. Besides language (although Russians represent only 4% of Moldova’s population, Russian is the second most spoken language in the country) and the enduring nostalgia for Soviet times, one must not underestimate the importance of the Orthodox church, which is a crucial institution in Moldavia that isn’t afraid of engaging in smear campaigns against pro-European politics. Last but not least, the insufficient media literacy of Moldavian citizens enables (not only) external actors to spread pro-Russian sentiments via situational narratives. To find out more and learn what should be done in order to reverse this trend, have a look at the paper! 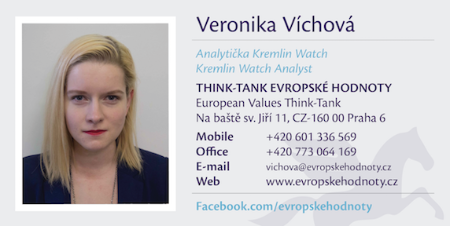 For Monitor suggestions or technical comments, please contact Kremlin Watch analyst Veronika Víchová at vichova@evropskehodnoty.cz.